Christmas is almost upon us - are you ready! Isn't it exciting that the Christmas Season is right around the corner. I am busy as ever trying to get my handmade gifts completed and with fall in the air - well it's a great time to craft. I hope you will enjoy these three handmade gifts that I have designed and given in years past at Christmas time. I love being able to share these with you and hope that they will be a blessing to someone this Christmas season. So get ready to craft ladies - bring your favorite mocha and lets get started shall we. 3 Clam shells (2-still connected) for wings - cleaned and dried - approx. 2"
3 Scallop shells for bodies - cleaned and dried - approx. 2-1/2"
These instructions are for making the yellow seashell angel. You will first need to paint the wings and body white both sides and letting dry for a few hours. Then take the other small brush and spread the craft glue all over the front of the wings and the body, then quickly lay a piece of paper under the shells and begin to sprinkle the "yellow" angel dust evenly and making sure it covers the whole area. Let dry then do the same for the backside of the shell wings and body. At this time you may plug in the hot glue gun for the next few steps. After the shells are completely dry, cut the yellow ribbon into a 6" piece for hanger. You will glue the ribbon in between the two clam shells at the point where they are connected with hot glue. Make sure the clam shells are round side up, see photo. Then you will place a generous amount of hot glue on the backside of the top of the scallop shell and place that at the lower area of the wings, again please use the photo for reference on where to place the body, put pressure and make sure it is secure. Then take the glue and add generous portion just slightly above the body where the head will be, and quickly place the pearl where the head should go and press for a few seconds. Next take the yellow ribbon flower and glue that under the pearl. Take a small piece of the gold ribbon approx. 1" or less and make a halo to fit on top of the pearl, just add a tiny bit of hot glue to the end and bring together for a circle, add the glue at the back of the head area and place the halo there it should hold just fine. Follow these instructions for the remainder two angels. 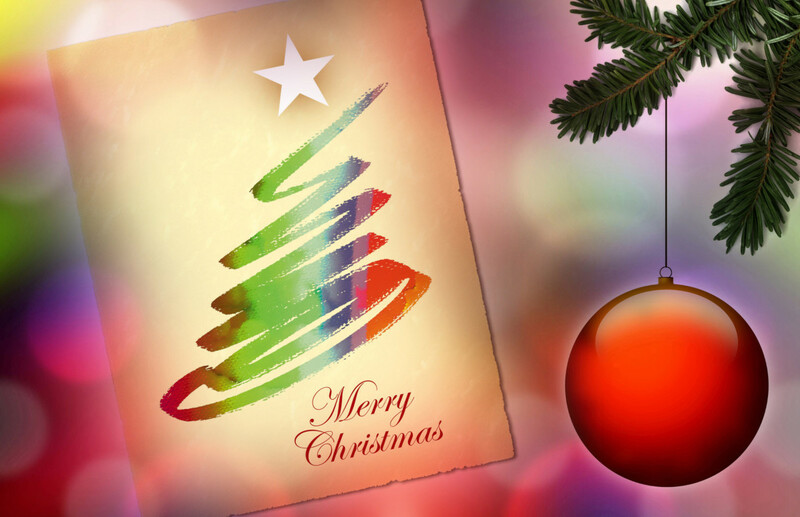 These three cuties will make your tree sparkle with Blessings this Christmas Season. Or you can give them as a special gift to that Angel lover - enjoy! 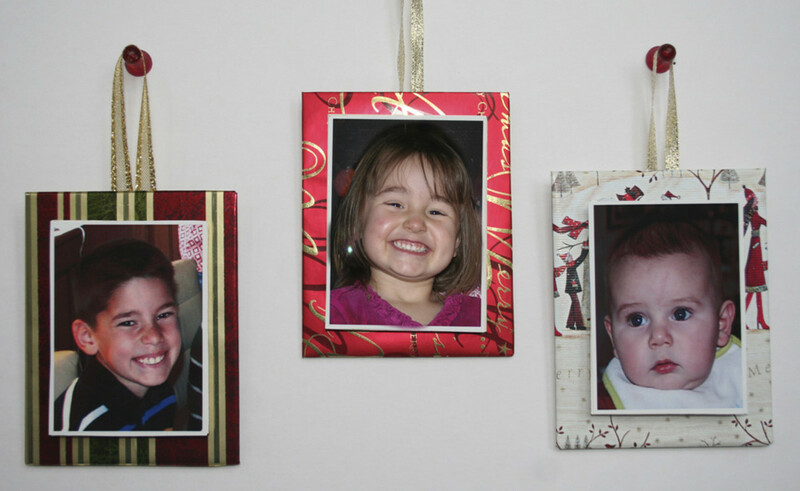 Recycled paper photo ornaments - too cute! Of course these are my adorable grandchildren. I made these for their parents last Christmas and they loved them. They are made of recycled Christmas wrapping paper, but you can use any left over paper as you wish - depending on the occasion. Cut a 4-1/2 x 4-1/2 piece of mat board, using a ruler for even straight cuts. Then with scissors, cut your wrapping paper to 9" x 9". Then spread glue on front side of the mat board and place the wrapping paper centered backside to the board and press down evenly, taking away any bubbles that may appear. Then fold the sides onto the backside and add more glue to the back to finish covering the whole area. If you have access paper just cut off before you glue it. Now take the foam core and cut 4 small pieces about a 1/2" in size. Glue each one to the backside of the photo then add more glue to each of them and place centered onto the large mat piece, press down a bit not too hard and hold for a few seconds. Let dry completely. Then add the hanger ribbon about 6-1/2" in size, just glue that to the backside as shown in the photos. 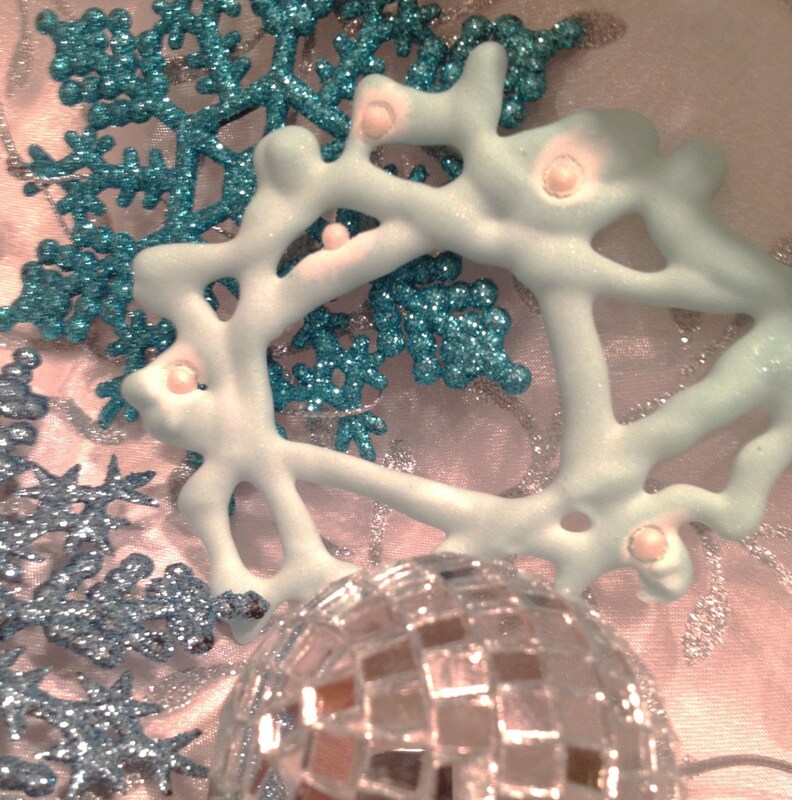 The foam core in between the photo and the background gives the ornaments a much nicer and cool effect. This is a great way to use up any left over small Christmas wrapping paper from previous years, and you get to preserve those precious photos in the process. Family and friends will love receiving these for Christmas - guaranteed! 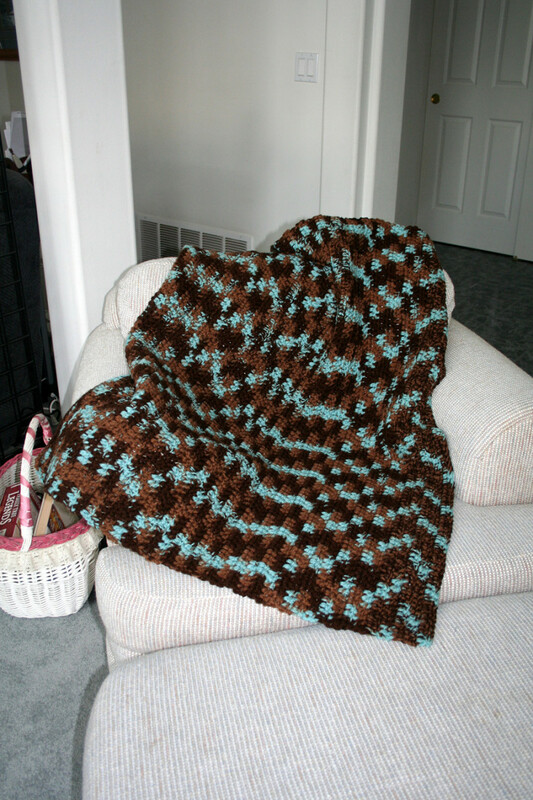 Cozy warm afghan - easy project! Using 2 strands of yarn throughout, chain 100. Then double crochet in 3rd chain from hook, then double crochet in each chain across to the end 97 double crochet made. Continue this until your afghan measures about 60" from the beginning. Tie and cut off remaining yarn. I told you this one was easy. My daughter just loved getting this cozy warm afghan last Christmas. So what are you waiting for - get crafting because Christmas is right around the corner. Blessings! Ever wanted to create a photo slide show of your favorite photos, well this hub will explain in detail - it's so fun and easy to do and best of all it's free! Thanks ChrisStyle, I agree with you. My friends and family love to receive handmade gifts, and I am working on passing on that tradition with my grandkids too. Blessings! Nice hub, especially like the idea of giving homemade presents. For some reason, it always seems to embody the Christmas spirit a little bit more when it has been made and not bought. Howdy HoneyBB, yes when you are on a budget it is amazing what you can do, especially with the shells....thanks for stopping in! I absolutely love the seashell angels. How adorable. What a great way to be able to give when you don't have much money to buy gifts. Thanks for sharing. Hi joanwz, thanks and I do hope you get to make some for Christmas, I enjoyed your hub on shells as well. Blessings! How Cool! These shell angels are great. I've saved this to my favorites. I'm going to have to try this. @GiftedGrandma, thanks for stopping in and commenting, absolutely these can be made for any celebration. Blessings to you! leann2800 the angels are precious and so easy to do, have fun and thanks for stopping in. Handmade for Christmas is wonderful! or Birthdays, baby showers etc :o) Wonderful ideas. @moonlake, thank you for stopping in hope you enjoy the ideas! @wmhseo, these crafts are fun to do hope you enjoy! Thanks for commenting. Handmade treasures for Christmas looks very exciting to me. Great ideas. Enjoyed your hub and your Christmas crafts. "Share"
Stephhicks68, hello there and thanks for reading my hub. Your kids will have so much fun making those adorable angels. Thanks again! Princesswithapen, thanks for your kind comments about my angels, they are precious and you can get so creative with colors and different ribbons, enjoy! Hi Kerlynb, thanks for stopping in, I know you will love making the photo ornaments they are sure a big hit. Blessings! Hi geegee77 or sis, thanks for checking out my hub and for the hint! :) Love ya too! 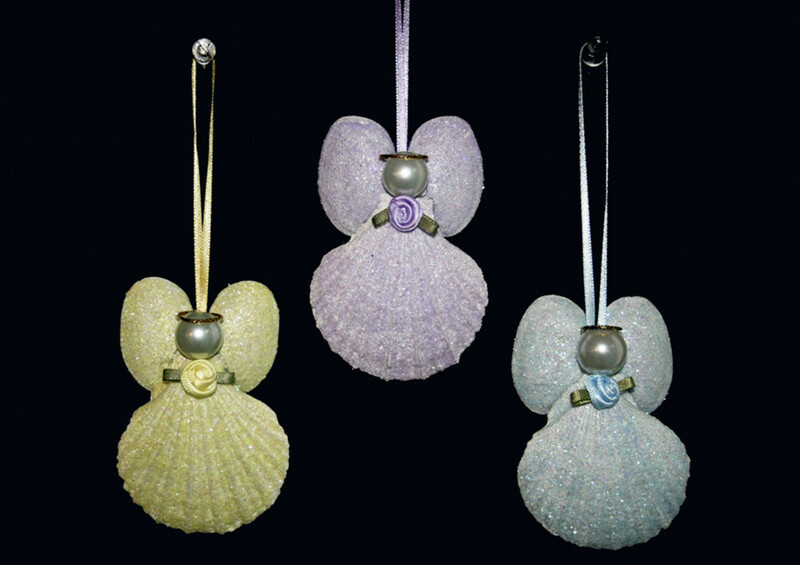 The seashell ornaments are simply amazing! The ribbons, shells and the pearls are a perfect match. Thanks Tina Truelove, I love the angels too and you can make them in so many colors of angel dust.....enjoy! I love the angels and the photo frames. Thank you for sharing these projects! I especially like the angels! Thanks craftdrawer, they are fun and easy projects to do....blessings. I like the recycled photo frame ornaments. Great gift ideas!